Bridges and Balloons is an award-winning blog that prides itself on being genuine. While much of the featured products and travel destinations are self-funded, we’re occasionally open to partnership, sponsorship, affiliate and advertising opportunities that fit with Bridges and Balloons and will be of value to our readers. We are also open to press trips that will be of interest to Bridges and Balloons’ readers and that match our travelling style. And we also work with brands to create content for their own platforms. Victoria is a professional writer and Steve a professional filmmaker. Bridges and Balloons is a travel-lifestyle blog about family life and travel to special places. We specialise in finding unique and interesting places, products and stories. Words that epitomise our style are: cosy, creative, unique, beautiful, hipster, bohemian, independent, characterful, sustainable and luxury in a thoughtful way. We like places and products that have a story behind them and have been created with love. And we prioritise the experience over the price, featuring both budget and luxury styles. We put these finds into detailed itineraries, inspiring photo stories, videos, best-of collections, and in a dedicated Special Stays series. Readers of Bridges and Balloons regularly replicate our trips around the world. 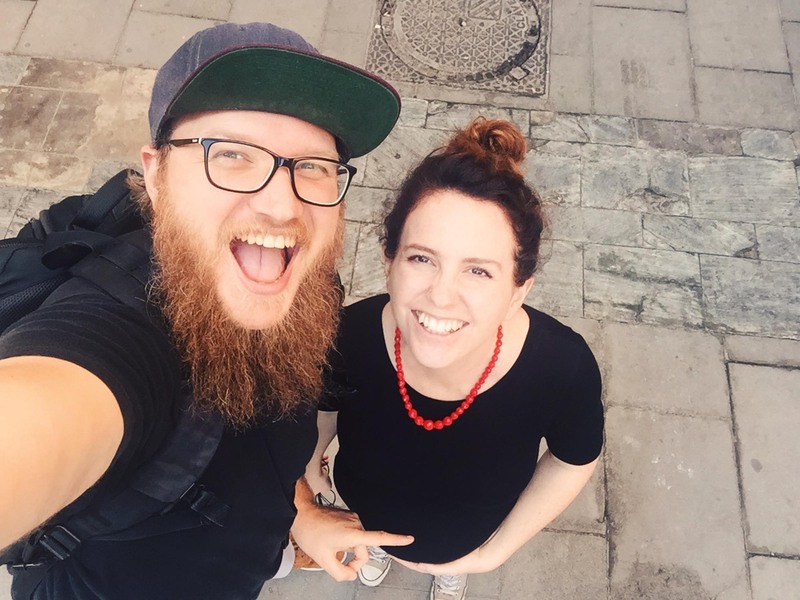 We also share personal stories from along the way: stories of grief, false starts, love, starting a family, nomadism, working on the road, frustrations, freelancing,trying to start a business, and the good, bad and ugly side of travel. For the first five years of this blog, we travelled as a couple, but now our little one is here, we are focusing on family travel with the same ethos as before. See our press page for our features, interviews and mentions in the media. Victoria is a writer, blogger and editor. Before starting to blog, she trained and worked as a journalist, and then moved into copywriting and editing for international charities. 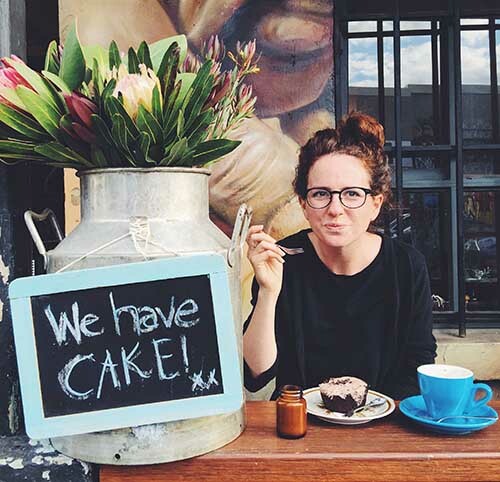 Alongside blogging, Victoria continues to freelance as a journalist, copywriter and editor. Clients include Expedia, Scot Rail, Marie Curie, Save the Children, British Red Cross and Oh Comely magazine. Steve is a filmmaker and VR producer. His short film, Overview, has over 7 million views on Vimeo and his first feature documentary premiered at SXSW in 2015. He’s currently working on a new educational VR project about the cosmic origins of the universe. He takes the majority of the photos for Bridges and Balloons and together we have produced video content for clients including Expedia and Visit Britain. See our Expedia series here. Please note: There are certain types of partnership requests I receive every day that are unsuitable for Bridges and Balloons. I don’t publish sponsored guest posts or infographics. I don’t promote products that are irrelevant to Bridges and Balloons or morally shady; and I don’t promote things that I haven’t tried myself. Please don’t send me those emails. I send you my well wishes.. I follow up your articles with great interest and I am writing to you about your hereafter visit to Istanbul. I will be very pleased if you will come back to Istanbul to support the travel industry and the historic areas of Istanbul, Magic city where ever you go definetly you find the most important landmarks of the city. For your 2016 Istanbul trip, I would be a sponsor for your travel blog. We would like to offer you the best experience and hope we will manage to make your days extraordinary and special. Your comments suggestions would be greatly appreciated. I look forward to hearing from you and further discussing how we can work together. Hellow,I am Richard from Tanzania. I own a Tour company with my friend damian from Poland. We are welcoming friends all over the world who plan to visit Tanzania to use our company coz we offer good quality services and treat our clients like family. you may plan to visit ngorongoro National park, Serengeti Natioanl Park, Mikumi mikumi national Park, selous national Park, Udzungwa National Park, Katavi national Park, Daadani national Park, Lushoto and Ruaha national park also Tarangire National Park and Mkomazi national Park. You can also visit Pangani white sand Beach, Zanzibar and many others not mentioned here. You are most welcomed to Tanzania. You can visit our website. http://www.kilimapeak.com.Regards,Richard..